There is no handbag that can be compared to the Classic Flap Bag. Its fame and beauty are endless – it got love from all the fashionista’s around the globe. This handbag has put a mark in the fashion world and will always be remembered as the ‘IT’ bag. But every season or so, Chanel will introduce an updated version. 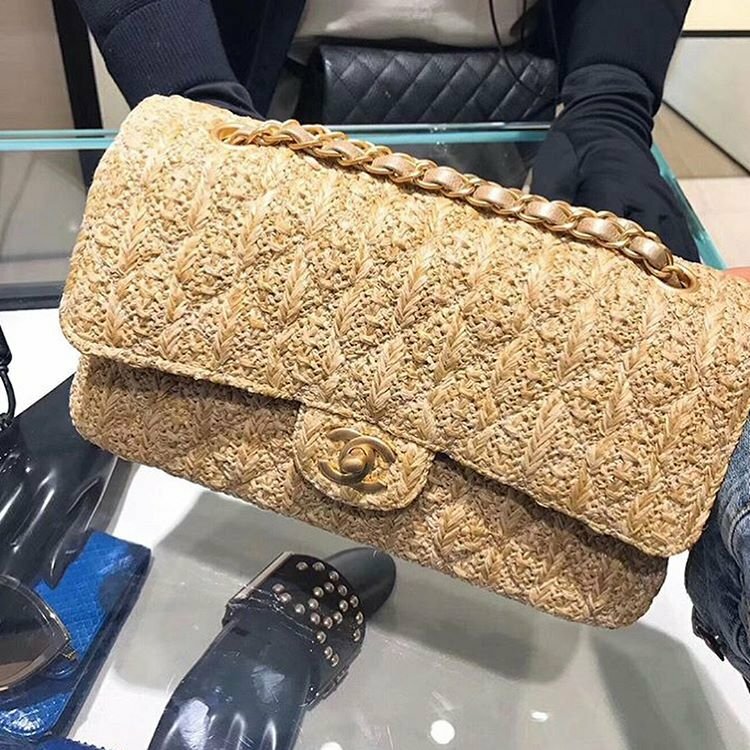 For the Cruise 2018 Collection, they tried to design a version that matches to the Ancient Greek theme and came up with this Chanel Braided Classic Flap Bag. The Classic Flap Bag is known for its gorgeous CC clasp, woven chain leather strap for shoulder carry and also the chic diamond quilted body. For this Cruise 2018 line, the newest Braided edition is made in Braided Canvas, which is a material that needs some care and maintenance. However, the experience and look are fabulous, so does that even out? Instead of the smooth CC clasp, the house replaced it with the vintage CC logo in gold hardware to match the beige shade. And it’s the perfect iconic handbag for the upcoming shiny season and it will match stunningly with one of your bright summer dresses. This bag is only limited available for this collection, so what do you think? Is it worth the investment? Just like the leather version of the Classic Flap Bag, the interior is made with a main compartment and several patch pockets. 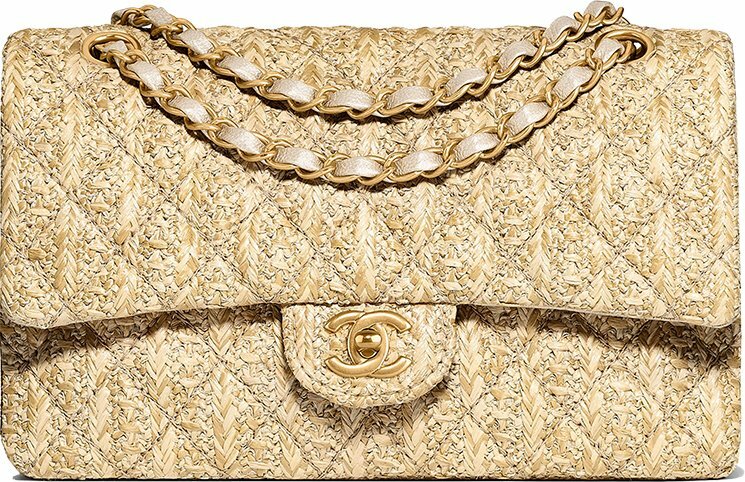 You can see here more details of the interior: The Ultimate Chanel Timeless Bag Guide. Style code A01112, measuring 6.3’ x 10.2’ x 2.8’ inches, priced at $3500 USD, $4525 CAD, €3250 EUR, £3010 GBP, $5460 SGD, $28300 HKD, $5050 AUD, ¥432000 JPY, 17160 MYR via Chanel boutiques.